Olga joined Dow 2016 as Head Pensions & Savings of Dow in the EMEA region and India. 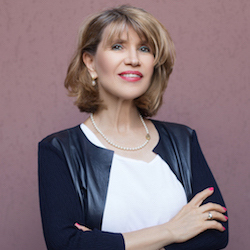 Prior to Dow, Olga gained 20 years of experience in the financial services industry. She has a successful track record in building up operations from scratch for insurance and reinsurance companies. During her successful career Olga was holding various senior executive positions in (re-) insurance industry, among others Chief Underwriter Life & Pensions at Winterthur Group, country CEO ING Life & Pensions, Head Country Office at Swiss Re. Olga is a distinguished speaker and acts often as chairperson at important industry meetings. Olga holds a PhD in Mathematics and is a Member of the Swiss Actuarial Association. Francesco Briganti has been working as a lobbyist since 2002. At the moment, he is the CEO of Employee Benefits and Welfare Institute, a Brussels based public affairs company (www.ebwi.eu), and Chair of the Italian branch of the International Employee Benefits Association (www.IEBA.org.uk). Francesco is currently a member of the Occupational Pensions Stakeholder Group (OPSG) of European Insurance and Occupational Pensions Authority (https://eiopa.europa.eu/about-eiopa/organisation/stakeholder-groups/occupational-pensions-sg). Between June 2016 and June 2018, he has been the Coordinator of the World Pension Alliance (WPA), a platform of the main worldwide pensions advocacy organizations (www.worldpensionalliance.org). Until June 2016 he was the Director of the European Association of Paritarian Institutions of Social Protection (www.aeip.net). 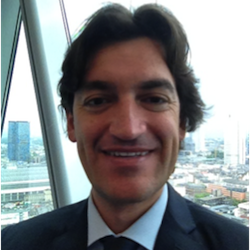 Francesco has been serving as lobbyist in EU affairs related to insurance and employee benefits matters. He has spoken at more than 300 public events around the World, and he often delivers lectures on EU law and EU lobbying affairs at several Universities. Francesco holds a Ph.D in EU law, focused on the legal creation of a pan-European employee benefits plan. 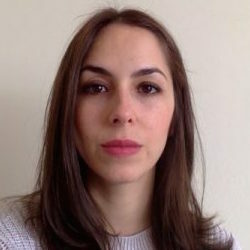 Amaía Buján is currently the General Manager of the Cross Border Benefits Alliance-Europe. Specialised in Economic and Financial Management, Amaía holds a MSc in Business Administration and Management with a specialisation in Finance. Over the last few years, she has worked for several companies in different countries, starting her career in Italy, where she had the opportunity to work for the private sector, as well as collaborate with the public administration. In parallel to CBBA’s activity, Amaía works as a financial specialist in the FMCG industry. During her professional career she has had the opportunity to collaborate with the European Commission in some strategic topics, as well as to write several publications, one of them in collaboration with Harvard University.